WinRAR gives you all future UPDATES for FREE! Command line -ta, -tb, -tn, -to switches accept 'm', 'c' and 'a' modifiers after the switch name. So file time conditions can include not only the file modification time as in previous versions, but also creation and last access time. Such switch can include multiple modifiers to set the same date for all specified times. For example, -tamc20190215 will process files modified and created after 2019-02-15. New 'o' modifier permits to switch from AND to OR logic, so -tamco20190215 includes files modified or created after 2019-02-15. It is also allowed to specify several time filtering switches with different dates in the same command line, like: -taco20190201 -tbmo20190210 Switches -ta and -tn also include files matching the specified date exactly. Switches -tb and -to exclude such files. 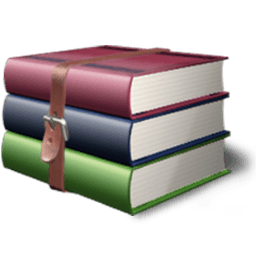 WinRAR file list can display creation and last access file times if they are available. Creation and last access columns are disabled by default and can be enabled in "Select file list columns" dialog. This dialog is opened after right clicking on file list column headers or after pressing "File list/Files/Columns..." button in WinRAR settings. New -ad1 switch can be used when unpacking multiple archives recursively, such as 'rar x -r -ad1 arc\*.rar'. It creates a separate folder for files unpacked from each archive, but unlike already existing -ad switch, it creates such folders in each archive folder. If we unpack arcname.rar using "Extract to arcname\" Explorer context menu command and "arcname" file already exists, WinRAR shell extension will propose "Extract to arcname~1\" instead. Previously this context menu command attempted to create a folder with same name as already existing file and failed. Cross-platform file and archive manager. Features volume spanning, compression, authenticated encryption.